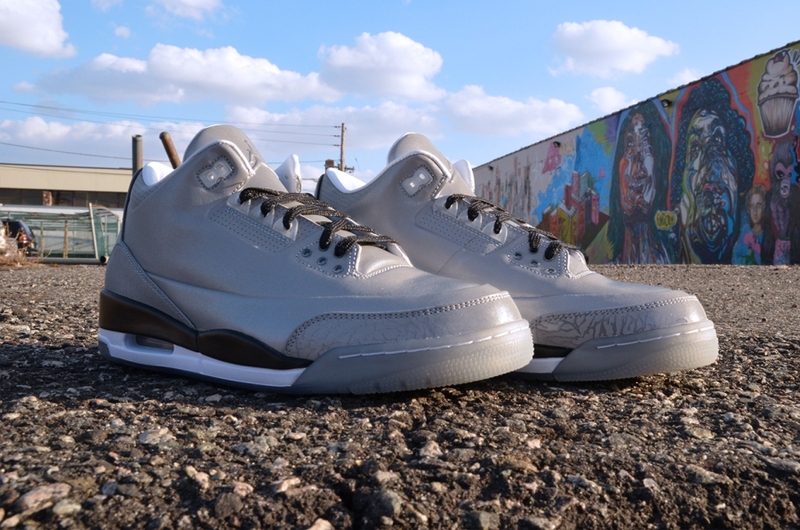 The Jordan lab series continues this month with the arrival of the reflective Air Jordan 5Lab3. 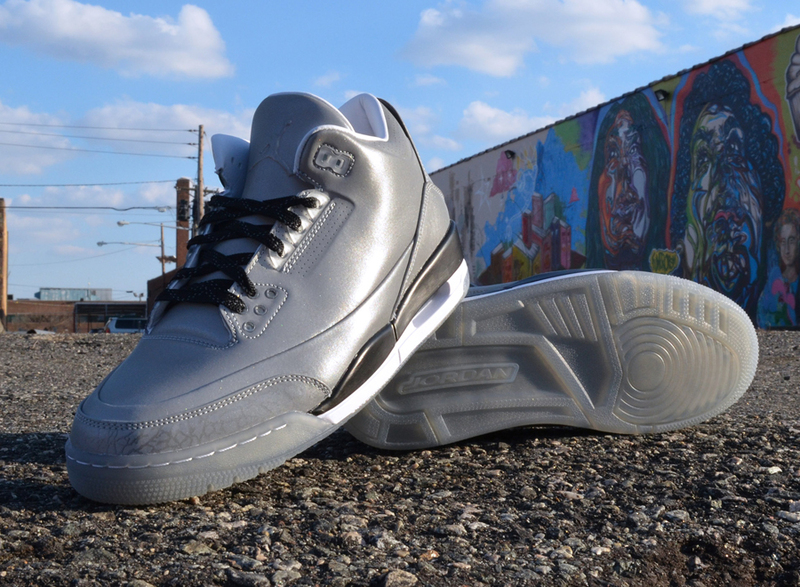 Borrowing the Air Jordan V's most recognizable design element, the iconic Air Jordan 3 arrives covered entirely in 3M relfective. The 3M-dominated look is topped with black laces, matching the white/black midsole below. 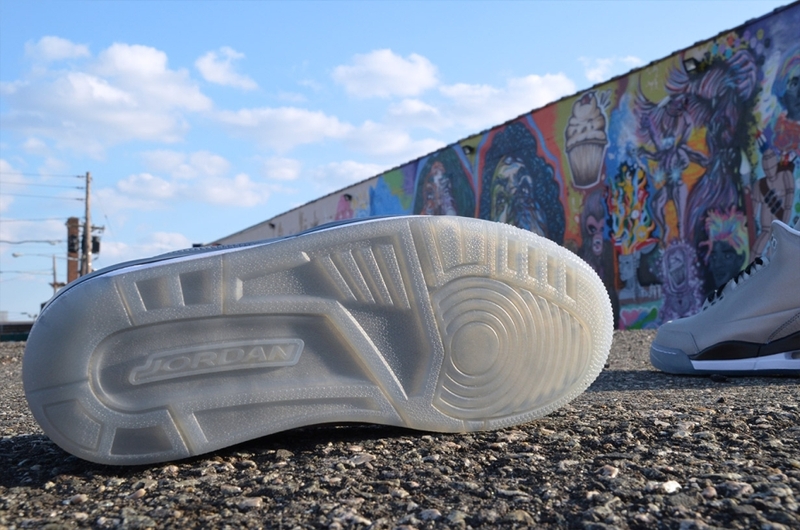 Finishing off the clean look, we see a smoked translucent outsole sitting below. 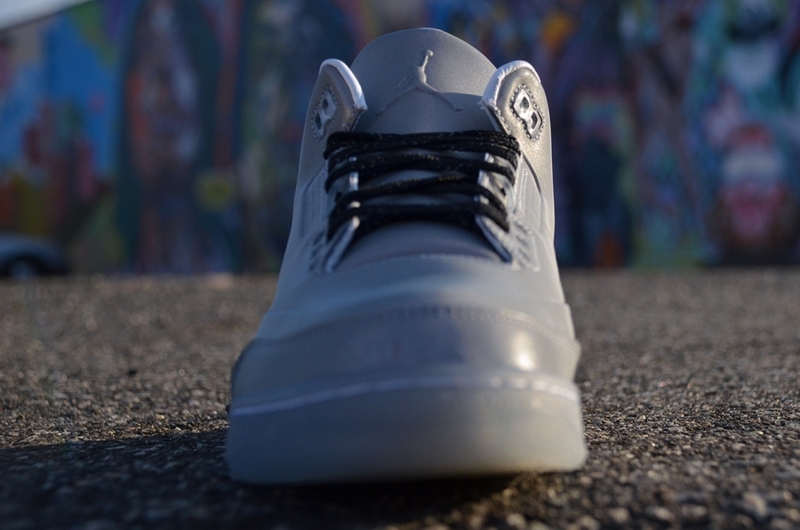 The Air Jordan 5Lab3 is set March 29th at select Jordan Brand accounts nationwide.